Garo Yepremian was born in Cypress to American parents. He immigrated to the United States with his brother. His brother earned a soccer scholarship from Indiana University. Garo was not eligible for an NCAA soccer scholarship because he had played professional soccer in London previously. After watching an NFL football game Garo decided that he was going to be a professional football kicker. 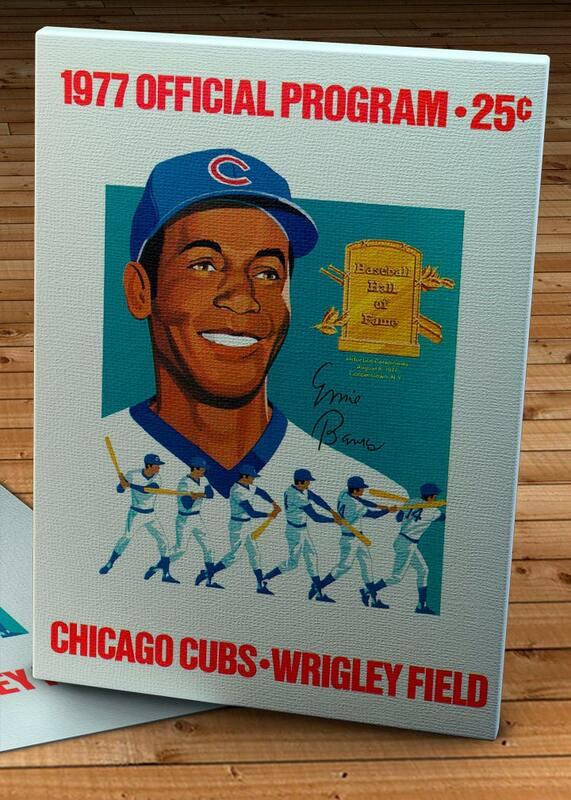 He got a tryout with the Detroit Lions in 1966 and was signed to do their kicking. Garo was a little guy at 5’7″ and his coach told him that after he kicked a kickoff to head straight for the bench. His coach knew that one thing their opponents would love to do is dismantle their little kicker. Garo kicked the ball and headed for the bench. Unfortunately he found himself on the wrong team’s bench in the midst of the enemies. At first Garo wasn’t comfortable with a helmet. When he played his first game he wore one without the face mask until Ray Nitshke a rough and tough linebacker of the Green Bay Packers tackled him and crunched his face into the ground. After that little episode Garo wore a helmet with a single bar. He was the last player in NFL history to play without a face mask. In that first year with the Lions Garo wasn’t very familiar with the rules of football. When his team was hopelessly behind one week they scored a touchdown with only a few seconds left in the game. Garo was called in to kick the extra point. After kicking the meaningless point through the uprights he ran around with his arms spread in celebration. One of his teammates asked him what he was doing? “I just kicked a touchdown!”, he explained. Garo had a career game in his season with the Lions. Playing against the Minnesota Vikings he kicked six field goals. It was a record for kickers in one game and it stood for many years. After the 1966 season Garo quit football and joined the United States Army. When he got back to the Detroit area in 1968 the Detroit Lions decided not to offer him a contract. He signed a contract to be the kicker for the Detroit Arrows in the Continental Football League. After a horrible year with the Arrows (they won only one game), Garo found himself out of football again. In the off season and the next year when he was out of football Garo sold Neckties. He still had a desire to kick in the NFL again. In 1970 Garo got the chance. He signed a contract with the Miami Dolphins. The next couple of years he let the league in scoring. Garo was a kicker that was very accurate although he wasn’t a long distance kicker. Today you see kickers who have no problem with distance from over 50 yards. That was not Garo’s Strength. However if the kick was inside 35 yards Garo very rarely missed. Garo is remembered maybe even more than his kicking feats by one play that was on the world stage. It was a field goal attempt with his team (the Dolphins) winning 14-0 against the Redskins. It was in the Super Bowl so every eye was upon him. His kick was blocked and Garo picked it up. He was running across the field and was about to get tackled. He tried to throw a pass but it slipped out of his hand. He batted the ball right into the hands of a Washington Redskin player who ran for a touchdown. “I honestly felt as if my life was over,” said Yepremian. “I never, ever had been disappointed like that in my life. Goodness, I felt as if it was the end. Norm Evans, the spiritual leader of the Dolphins, said, ‘don’t worry, God is with you.’ That was the best thing that ever happened to me, to have that encouragement from a friend. If the other team scored, and it would have went to overtime, that would’ve haunted me for the rest of my life.”Although it was very embarrassing and is shown whenever football bloopers are displayed it seems, the play did not cost the Dolphins their ultimate victory. They won the Super Bowl that year by a score of 14-7. When the media laughed at his gaffe Garo was very hurt. He left the victory party early and went to his hotel room and took an ice bath. He went home and stayed behind closed doors for weeks until he received a letter from his coach Don Shula. The letter mentioned how important he was to the Dolphins and all of the games his kicks had saved. “It was the most important letter I ever received” , Garo said remembering. When he was with Shula signing autographs at a show he mentioned the letter to Shula. “What letter?”, Shula asked. It seems that Shula’s wife had written the letter and signed Don’s name to it. Obviously she felt like he needed someone to pick him up and that letter certainly did! Garo moved on from his famous gaffe and kicked in the NFL for 9 more years. Jan Senerud was a ski jumper. He was born in Finland and received a scholarship from Montana State to ski jump. One day after he had run up and down the bleachers of the football field to stay in shape Jan and a friend were kicking a football around on the field. Jan had played some soccer and he had a very strong right leg. He was making field goals from great distances when the school’s basketball coached happened to pass by and observe. Before he knew it the football coach wanted to see him kick. After kicking for the football coach he was encouraged to come out for the football team. In fact he wanted Jan to suit up for the teams final game. He wasn’t eligible to play but the coach wanted him to wear the football uniform and learn the football rules and see how the game was played. Following the ski season Stenerud joined the football team for spring practice. That Fall he set an NCAA record at the time by kicking a 59 yard field goal. Stenerud humbly admitted years later that a strong tail wind and high altitude helped his kick. On the kickoff after his record breaking field goal he kicked the ball out of the end zone and over the bleachers behind it. 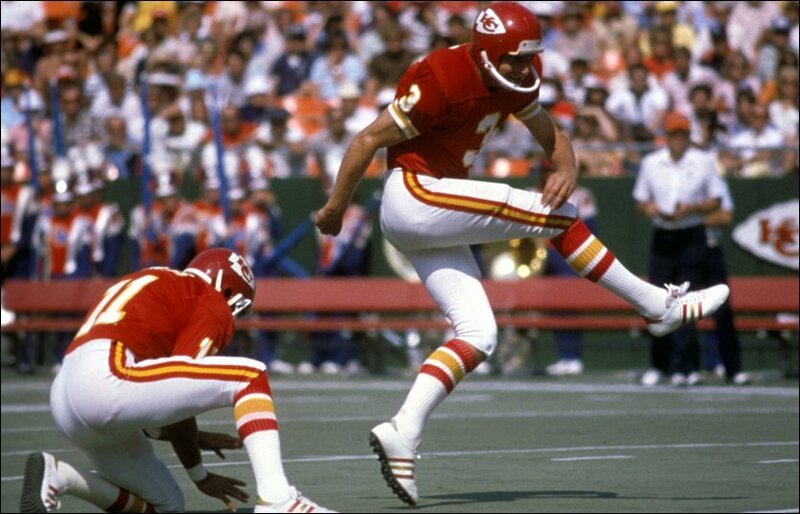 After College Stenerud was signed by the Kansas City Chiefs. At the time he was one of the first field goal specialists. Back then the field goal kicker almost always played another position also. In fact they would normally get the best kicker from the players they already had. Stenerud helped the Chiefs win the Super Bowl following the 1969 season with his amazing field goals. He was very accurate and his strong leg was able to kick from distances that nobody had seen before. The first 9 points of the Super Bowl against the Minnesota Vikings were scored by Stenerud’s three field goals! It was Christmas day 1971. The big game was on later in the afternoon. It was Garo’s Miami Dolphins against Jan’s Kansas City Chiefs. The winner would advance in the playoffs and hopefully get to the Super Bowl. The loser would be done for the season. Many a Christmas dinner was cold that day because the game kept going on and on. The Chiefs should have won. Every time they took the lead however, the Dolphins came right back. One play that stands out is when the Chiefs outsmarted themselves. They had a 10-0 lead and were lined up for Jan to kick a 29 yard field goal. However, Hank Stram the Chiefs coach had another idea. He wanted to do a fake and have Stenerud run for the first down. The snap was supposed to go straight to the kicker but when the center was about to snap the ball he saw that Jan was looking down like he normally did. So he snapped the ball to the holder like any other field goal. Completely out of sorts Len Dawson the Quarterback and also the holder took the snap and put it down for Jan to kick it. Jan never made an excuse as to why he kicked the ball wide to the right but the confusion all around was a big momentum changer. The game was tied with just a few seconds left. The Chiefs made a big pass play and lined up for Jan to kick a 31 yard field goal. Jan was so amazing that season that the Dolphins just knew this was the end. Amazingly Jan missed the field goal wide to the right again. The game went into overtime and it went on an on. Finally after 82 minutes and 40 seconds (more than 5 and a half quarters) Garo made a 37 yard field goal to win it. Garo and the Dolphins were ecstatic while Jan and the Chiefs were devastated. Looking back Garo mentioned how fitting it was that the tie salesman had broken the tie! Although his teammates tried to make him feel better Jan could not be consoled. He felt like that he alone had let all of his teammates down and all of the fans of the Chiefs. He considered quitting the game he was so broken. Even today after all of these years later Jan has no desire to talk about that game. It was a time of personal tragedy for him. Yet when Christmas comes around every year the memories of that game are brought up. It’s funny that Garo’s gaffe in the next years Super Bowl is talked about in a fun way because it didn’t cost the Dolphins the game. Jan’s miss in the longest game ever (at that time) is remembered (especially by Jan) like somebody had died. His cool demeanor served Jan well and helped him to carry on after he plunged to the ground that Christmas day. It’s a good lesson to all of us too! Whatever comes our way do not be distracted and keep going forward Treat our disappointments as learning experiences and ask God to make something good come out of them. When his career was over Jan was elected to the Pro Football Hall of Fame. At the time he was the only kicker (who only kicked) voted into the Hall. His final football numbers were 19 years, 6 pro bowls, 6 all league selections, 7 times scoring 100 or more points (in a 14 game season), and 1,699 career points. The things that can’t be measured though are his persevering attitude, his pain in disappointments, and his contentment in his victories! I had an experience the other day that was kind of embarrassing. Someone came up to me in a store and asked me if I remembered them. Actually I did remember the lady. She worked in the Financial Aid Office years ago. 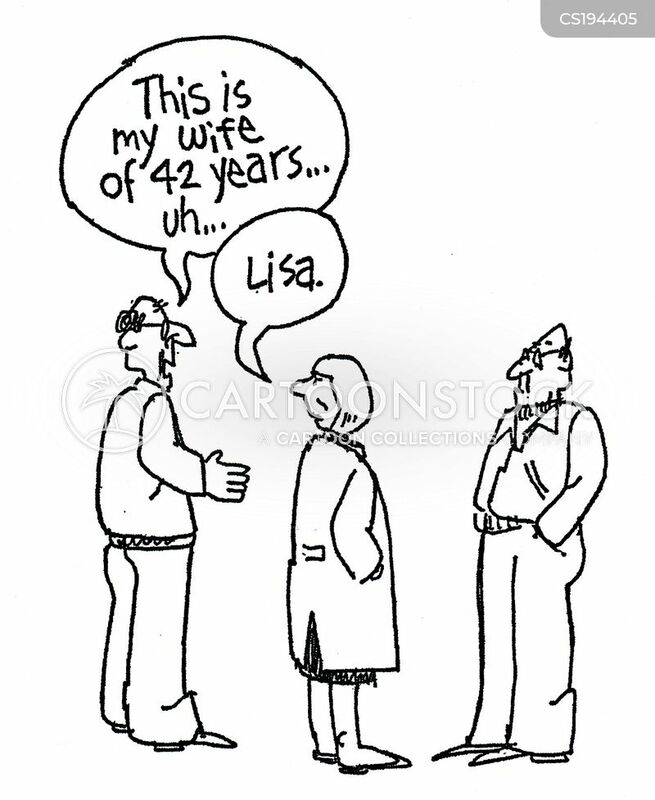 I also remember running into her years ago in a similar circumstance. My problem is that I didn’t remember her name. I did tell her of course I remembered her but I wasn’t honest about her name. I should have asked her for her name again. After all it had been years and years since I had seen her. She mentioned the last time she saw me I was going to buy trophies for my sons basketball team. I’m thinking that had to be 11 or 12 years ago when I coached them. It would have been easy to ask for her name and yet I didn’t. Maybe in the back of my mind I thought that it might be hurtful to her. Yet when you don’t run into someone for years it’s natural to forget. It isn’t like you see them every day. So I skated around the conversation without calling her by her name because I had forgotten. I kinda laughed to myself as I continued walking. I was wondering if I heard him correctly because he said it so low. I have tried that trick too. If I wasn’t totally sure I might say the name that I thought it was. The trick is to say it low enough that they would think that I remembered or if it was wrong that maybe they didn’t hear me correctly,. There was a guy that I was running into every day that worked in Human Resources. It seemed like every day he was saying “Hi Lewis”, and I was saying “hey how is it going?”, or some other pleasantry. I had never been introduced to this guy but somehow he knew my name and it was embarrassing. One day I decided that I have to find out what his name is. So I searched an old phone book of the people that worked in Human Resources and I thought I had it! He said “How are you Lewis?” and I said something like “I’m doing good” and I said a name I forget right now. The name i thought was right was an unusual name too. Quickly he corrected me which was embarrassing but the proper thing to do. “My name is Robert”, he said. “Oh I’m sorry”, I stated obviously embarrassed. I think I muddled through the passing conversation using his name Robert. Quickly I started trying to find a way to remember his name. I used to work with a guy named Robert who was a really good friend. I made a note that when I saw this guy I would think about my long lost friend. Now it works like a charm. It’s either Hi Lewis, Hi Robert or Hi Robert, Hi Lewis! Now we both feel good when we see each other! There are some people that are brutally honest. They pride themselves in saying things and letting the chips fall where they may. Maybe there is a time and place for this if it is in the right spirit and meant to be helpful, but too often their words only hurt the other person. Too often the brutally honest ones are just brutal. “I tell it like it is”, they may say proudly. Yet with their words they sometimes cut a person far deeper than if they were stabbing them with a knife. That hurt can bring pain to others too. The phrase “Hurt people hurt people” is very true and it can be passed on or stopped by our actions. Make people feel good that they saw you. Leave them in a better mood than before your encounter. This is what happy people do and we should be happy with the Spirit of God within us! Imagine that you have rented a room in a skyscraper as a get away vacation. The view was advertised as miraculous and the place immaculate. After unpacking your bags you decide to open the curtains to see the great view. When you do you are furious because the window is a dirty mess and you can barely see out. The sun that should make a glistening clear picture is hurting your eyes and illuminating the dirty window. Wouldn’t it be awful if the view from these magnificent buildings were hidden by a grimy mess on the windows? Now imagine that you are on that same vacation. You open the curtains to see the magnificent view. Instead you encounter someone looking right back at you. Your reaction might be to scream as the surprise is likely to scare you. Then you realize that it isn’t someone who will harm you or steal from you, it is a window washer. They are trained to go to new heights to keep the windows clean. Obviously windows need to be cleaned once in awhile. In a big city with all of the stuff blowing around in the air they need to be done even more often. The job is a little different from cleaning your windows at home. Professional equipment is used of course, but the main difference is being situated many stories above the ground. It reminds me of a tight rope walker. Even you and I could probably be trained to walk a tight rope if the rope is hung one foot over the ground. Attempting it like they do in the circus hundreds of feet in the air would create all kinds of fears and anxieties. Sometimes in the circus a safety net is provided that can calm fears because if they mess up they just fall to safety. Window washers have safety equipment too. Tragically in the old days the window washing job was far more dangerous and many fell to their death. 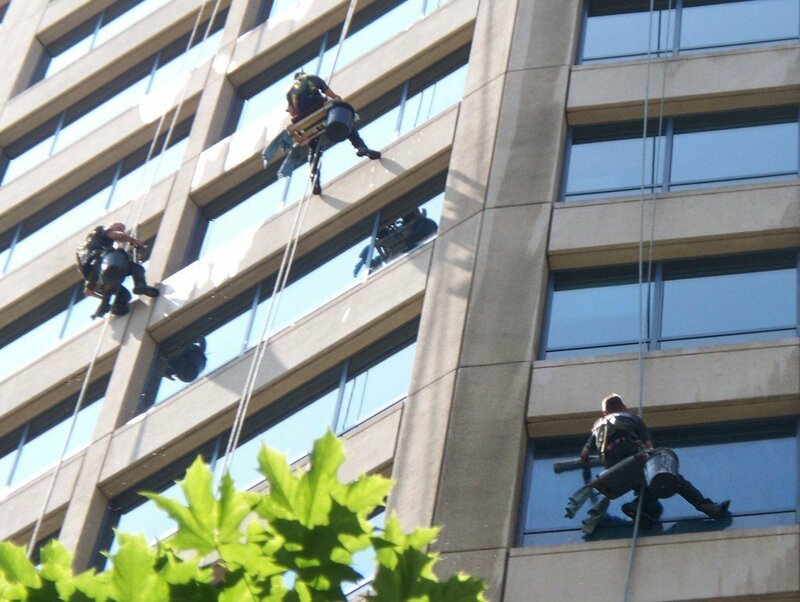 Today with modern equipment the window washers can do their job with much less worry. A typical window cleaner’s equipment consists of a rope protector, a safety rope, a rope-grabbing tool, a descent mechanism, lanyard and suction cups. These tools not only protect workers from any unfortunate incidents, but also help them clean a building’s facade at a rapid speed with great efficiency. While working on the outside of a building, the worker is attached to an anchor, that is mounted on the roof. This anchor enables the workers to clean windows as they descend vertically. You might have noticed that window cleaners don’t descend smoothly; their journey to the next, lower floors makes it appear as though they are ‘dropping’ through each floor one at a time. The height of a single drop – the measurement of one vertical cleaning operation from the roof to the floor below – varies according to the buildings windows they are working on. Our walk through life can be compared to the adventures of a window washer. The good news is that God has given us all that we need to complete our mission. Like the window washers equipment and precise settings, God will put you and me exactly where we are supposed to be if we will only trust him. We should never be afraid because he is our anchor and our safety net. Someone asked a window washer if they ever looked down? The answer was no but it wasn’t for the reason I would have guessed. They said that they just concentrated on the job they were there to do. They concentrated on the next window on their mission. 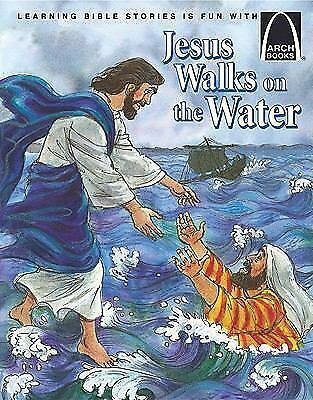 It reminds me of the story of Peter walking on the water. In Matthew 14 verses 25-31 the story is told. You see Jesus doesn’t want us walking in fear. As long as Peter had his mind on Jesus and the mission at hand he was fine. When fear and doubt crept in he sank. The lesson from the window washer profession is the same. As long as they keep their mind on the mission at hand, knowing that their anchor and ropes are in place there is nothing to fear. So Jesus is our anchor but he is so much more. The buildings windows could represent eyes. The view could represent the beautiful view that God has offered us. Most people are looking at that view through grimy windows. Our job is to introduce them to Jesus so that he can clean up their view of life. When they open up that curtain they won’t dwell on the ugly sight they used to see, but on the beauty that they see now! Bill Parcells is a builder. Not your typical builder as in building buildings. Parcells made a career out of building football teams. When he got his first coaching job with the New York Giants in 1983 his team wasn’t very good. He survived a 3 win season and it was there that he decided that if he could survive that experience he would coach on his terms. He wasn’t fired and he was able to use his agonizing experience as a building block. In most buildings you start with the basement. That is what Parcells started with. After finishing in the basement he went on building other floors to his football team until at long last he won two Super Bowls. Parcells was asked if he thought that he should have a say in the players that were brought in for him to coach. Parcells in his matter of fact reaction said “Well if they expect you to cook the dinner you need to have a say in the grocery shopping.” Typical Parcells, a straight forward answer with a little comparison in there. It was a lot like how he grew up in New Jersey. His basketball coach in high school was complimenting him on what a great game he played. The team had lost a close game but Parcells made it close by his great play. “It wasn’t enough”, he told the coach, “we lost.” His coach always remembered him saying those words and then disappearing into the night. When Parcells eventually got into coaching winning and losing would be defined as Pat Riley once quoted. “There is winning and there is misery. tears if you’ve cheated the man in the glass. What was Parcells talking about when he told Martin that you finally get it? The “It” in Parcells mind was the team. Doing what is best for the team and not for your individual glory. Bill Parcells was hard on his team. He didn’t accept short cuts and sometimes for awhile members of his team didn’t like how he treated them. Phi Simms was his Super Bowl winning quarterback. Phil was not the most talented quarterback in the league but he was sold on this team thing Parcell preached. That doesn’t mean that they didn’t have confrontations on the sideline. One time they were having one of those confrontations and the TV cameras picked it up. The announcer mentioned that if you were just tuning in this team is leading 17-0. To Parcells the fact that his team was winning did not cancel out a teaching moment he needed to make. Parcells agreed completely with a statement that Pat Riley made one time about winning and losing. “There is winning and there is misery.” That is the bottom line in coaching. Then again that competition is what kept Parcell going in coaching. He called it “the juice”. The juice is all about competition. Who are we playing next? That is the juice. Thinking about that next opponent and figuring out a way to beat them. There is a certain high that comes from a job like that which leads to admiration of the fans. The fans though can be fickle and when things are not going well they can turn like vultures. Parcells also refers to the juice from his growing up in Jersey. There it means overdue interest on borrowed money. In the movie “The City Slickers” Billy Chrystal encounters an old man and wants to know what life is all about. The old man tells him that you have to find the one thing that is most important as he raised his one finger. When Billy asked him what the one thing was the old timer only told him “It’s this and lifted his one finger again.” In his football coaching life Parcells was always looking for that one thing. Before his team won the Super Bowl he would tell a friend “I just want to win this thing one time.” After winning it was “I just want to win this thing one more time.” With each victory he still had issues with the juice. He knew that his profession was a double edged sword. He once told someone that in a year he would be in a resting home making ceramic ash trays and wondering what time Jeopardy comes on. Of course in a few minutes he would be talking about the future of the organization and how they needed to draft this position or get better in this area. That was the trap he was in. Deep down when he was out of football he wanted to be back in and when he was in he wanted to be out. His mother used to ask him “When are you going to get a real job?” She would look at others with traditional jobs and considered them the real jobs. It finally came to a point where Parcells was not apologetic about his profession. For the people who really get to know him Bill Parcells legacy will be remembered in the number of lives he helped change. There was a homeless man in Fort Lauderdale who sold newspapers. Every day Parcells would see this man and buy a newspaper from him. Being an avid fan this homeless guy knew who Parcells was. They talked and developed a relationship. Being an avid Eagles fan he asked Parcells if he knew Andy Reid? Andy Reid was the General Manager of the Eagles. When Parcells said he did the fan said “tell him to draft a expletive wide receiver!” Parcells did call Reid and told him that he met one of his fans and the message he gave. One day Parcells was getting his morning paper and he asked the guy “why he couldn’t get a real job?” The guy looked at him and honestly said that he didn’t have a drivers license. Drilling deeper Parcells asked why and the answer was that he didn’t have a birth certificate. Parcells told him that maybe he could help him out so he made the appropriate phone calls and today this former homeless man is employed and much better off! 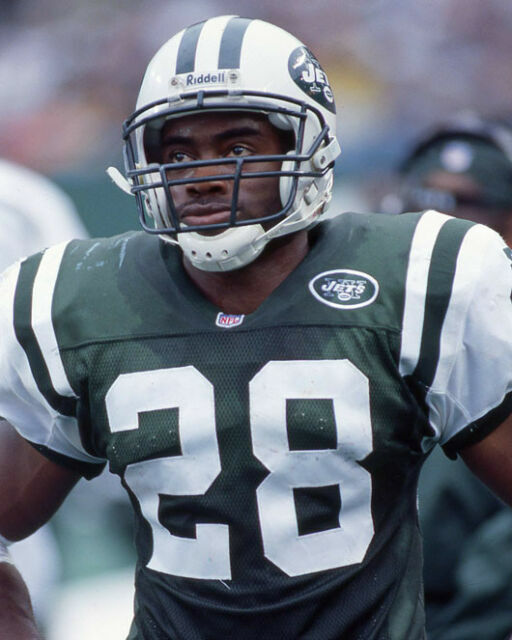 Curtis Martin (The Boy Wonder) wrote his coach a wonderful letter one time about how thankful he was for his help and how he had made a monumental difference in his life. His letter mentioned that he didn’t know where he would be without Parcells guidance. When he went to Parcells office to give him the letter Parcells wasn’t there so he put it in a trophy on his desk. That letter is one his most meaningful possessions and Parcells cherishes it! With gratitude from his broken heart that is now repaired helping people on the way is what he considers the least he can do! Parcells coached 4 teams and was a General Manager for another one. Each team held it’s own set of challenges in the building process. When he was hired to coach the Dallas Cowboys he had an established team that had parts he wasn’t used to. His philosophy with the Giants was to have bigger linebackers and this team had smaller ones with more speed. Parcells had to adjust his thinking to build with what he had. Although they didn’t reach the Super Bowl Parcells managed to leave the Cowboys in a much better state than how he found them. The same was true with all of his other stops. Building was his thing and he knew exactly what he wanted to get the job done! 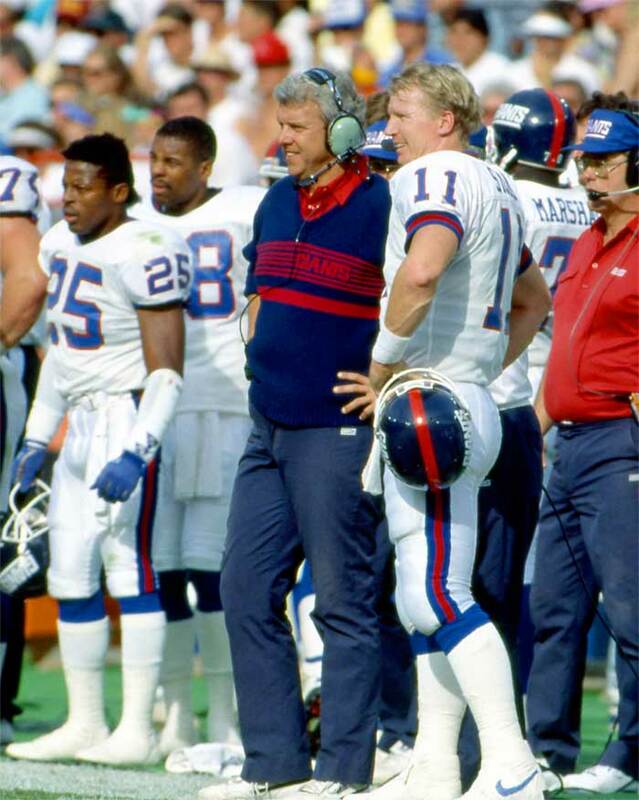 Building things and being a part of a team were very important attributes of Bill Parcells. It is interesting that in the Bible Jesus talks about building too. Perhaps you are in a profession like Bill Parcells where you feel like that there is winning and there is misery. Maybe you have been building your life on the here and now’s successes and failures. Take the words of Jesus seriously. Unless you build on the solid rock your buildings will crumble. You see everything on this earth is temporary including you and me. 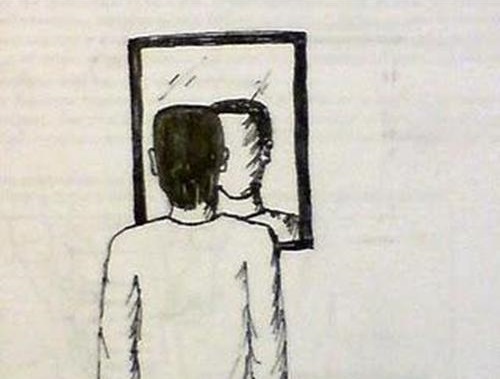 We might be very successful in what we do as far as money and adulation but can we truly look in the mirror and not be reminded that something is missing? We are and always will be empty without Jesus. When Bill Parcells had his heart problem he realized more than ever that life is short. Just like the Doctor who fixed his physical heart God wants to fix our Spiritual heart. He wants to take what we have and clean it up so that he can use us while we are here. You see he is the one thing (the one finger of the old man in the movie!) If we put him first in our life we will be happy and satisfied! A simple prayer will start that process. Pray this prayer with me! If you prayed that prayer Jesus has come into your heart and your new construction has begun! You have hired a master builder and joined a team that is on its way to victory! As with any team there will still be plenty of highs and lows. You might find yourself in the basement of life, like Percells did with his football team. Know that God is now with you! You have employed the best head coach ever in the game of life. He is helping you build a life that is on solid ground and will not fall in the midst of storms. Like Parcells you will have gratitude knowing someone changed your heart as you desire to share your story . It will be a gratitude of love as you live in peace every day. That gratitude will be shared with others because it is the least you can do! Your reward will be great. Not like a building built on sinking sand that suddenly blows away, but a residence in heaven that lasts forever and ever! That he’ll hand out someday. Forever – there’s your name. And have my name up there. Strive to build your life to reach God’s Hall Of Fame and not on drifting dust!